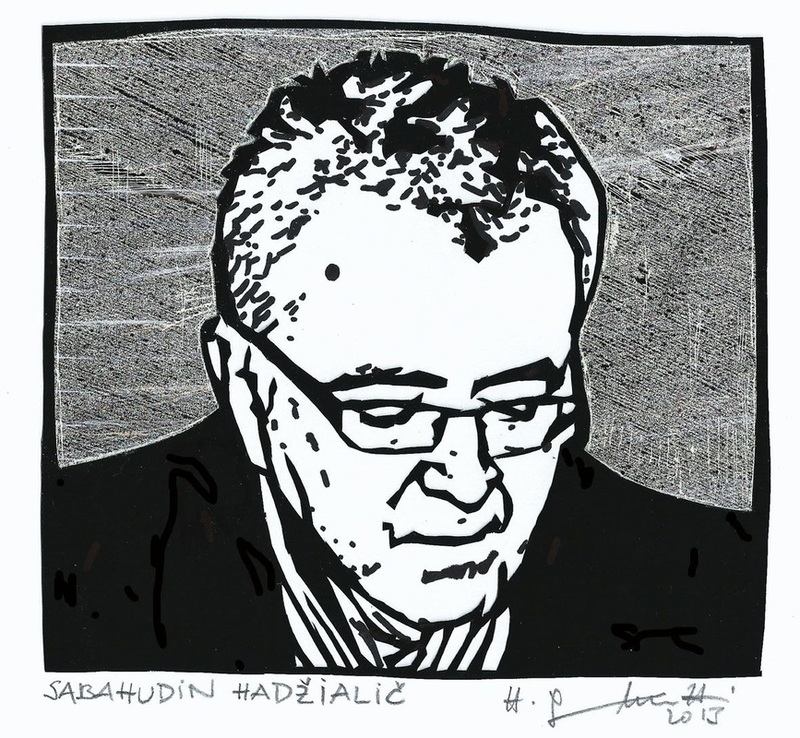 Born in Rahovec, South East of Kosova, in 1972. graduated at Prishtina University, Oriental Studies. M.A. in Literature. PhD in Sacral Estethics- ongoing Actively works on Calligraphy discovering new mediums and techniques for this specific for of plastic art. Essays on Journal “Oriental Studies”, Kosova Orientalist’s Association. Member of the Publishing and Editing Committee, at the Kosovo Ministry for Culture, Youth and Sport. Bogohulno stremeći odgovoru na iskazane želje, Fahredin Shehu pronalazi vlastito putovanje unutar iskazanih želja kreaciji težeći. Isprepletenosti riječi, misli i težnji. Ne bilo kakvih: Iskrenih, nepatvorenih emocija ljubavi što streme. Ni jednoga trenutka ne želeći zanemariti činjenicu da on "priča pjesmu", on "pjesmi priča". Pretačući sopstvena nadahnuća bogatstvom metafore unutar pretpostavljenih činova? Da. I više od toga: Znakovito naglašavajući veličinu drugoga nauštrb sopstvenih nadanja. Uvjeren da time pomaže sebi da konačno razumije sopstvenu osobnost. U drugome. 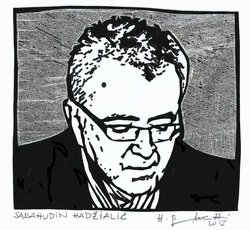 Radi sebe. Dok ga čitamo između redova. Jer on tome i teži. Striving towards blasphemous response to the expressed wishes, Fahredin Shehu finds his journey within the stated desire of creation seeking. Entanglement of words, thoughts and aspirations. and not just any: sincere, genuine emotion which aspires towards love. Not even for a moment not wanting to ignore the fact that he "talks poetry, " he "is talking to the poem". Transfusing his own inspiration with the richness of the metaphor out of implied acts? Yes. And even more: Significantly emphasizing the size of other detriment of his own hopes. Convinced that with this helps himself to finally understand his own personality. In the other. Because of himself. While we read between the lines. Because he is heading towards that. And, sometimes, because of us. February 2012. USA...BOOK OF POETRY - FAHREDIN SHEHU TITLED "PLEROMA'S DEW"
da je prenesem kao nebeski dar. Svet će živeti i posle 2010. i posle 3012.